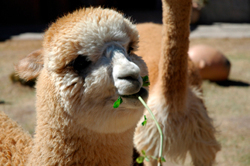 Collection of informative articles that are written on a variety of Alpaca related topics. Do you have an Alpaca related article that you would like to share with others? 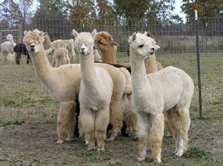 If so, please contact us with information about the Alpaca Article that you would like to include on our web site. 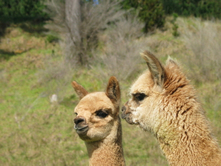 The Amazing Alpaca and Clothing Creations from Alpaca Fiber - Information about the Alpaca and their lustrous fleece, special benefits of Alpaca fiber, how Alpaca fiber is prepared and processed and Alpaca fiber for fun and profit. Alpacas Star In Trek To Commemorate Yorkshire's Mill Heritage - Jamie Roberts, owner of Kilnsey Park sets out on a walk with Alpacas from Saltaire in West Yorkshire to Kilnsey Park in the Yorkshire Dales as part of the Park's 35th anniversary celebrations. Creating Clothing from Alpaca Fiber - Article that outlines the various steps of how clothing is made from Alpaca Fiber and Fleece.